Arbitrators frequently face requests wrongly considered as being of incidental nature. Interest claims, in particular, raise delicate legal issues and may involve considerable amounts sometimes exceeding the main claim. In order to guarantee the quick and effective enforcement of awards, the arbitral practice is looking for new approaches, such as lump assessment, “clauses pénales” or judicial penalties (“astreintes”). 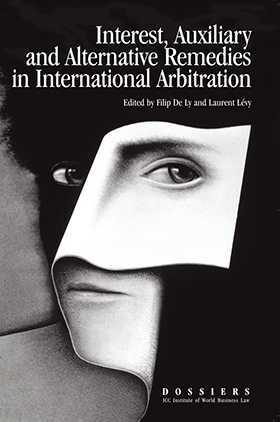 The Dossier V, Interest, Auxiliary and Alternative Remedies in International Arbitration, a compilation of the proceedings of the 2007 Annual Meeting of the ICC Institute of World Business Law, addresses a wide range of topics on remedies and interest including contractual remedies, judicial penalties, specific performance, issues of applicable law, comparative approaches, and interest in arbitration practice. It is designed to offer solutions on how to control the impact of time between the occurrence of the damage and its full compensations.